Before you decide to unreconcile previously-reconciled transactions, or undo an entire reconciliation, there are several things to consider. The root cause can often be fixed without undoing a reconcile. You can troubleshoot a reconcile when the opening balance is correct or you can make your statement match your reconcile opening balance. Manually editing the reconcile status of transactions may not reveal the root cause of the problem you’re trying to solve, and may even create more problems than you had set out to solve. Manually undoing a reconcile can change the sum of all your reconciled transactions, known as the reconcile opening balance. To prevent issues with your balances, it's best to consult your accounting professional. If you still feel that unreconciling a previously-reconciled transaction, or undoing a reconciliation will help, the following sections provide some guidance. To undo an entire reconciliation, you must manually edit each transaction. You can use your reconciliation report or bank statement to identify the transactions you need to edit. Note: If you created an adjustment entry, you’ll need to find and delete that adjustment entry as well. If you have too many transactions to edit and you're connected to an accountant in QuickBooks Online, you can ask your accountant to undo the reconciliation for you. Identify the transaction to edit. 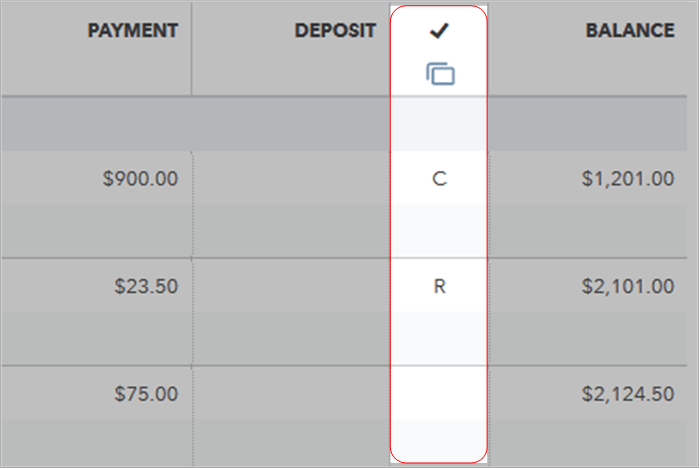 In the reconcile status column (indicated by a check mark), repeatedly select the top line of the transaction to change the status of the transaction.